This reading from Proverbs 2 opens a door to every one of us. We all want to grow in Christ. Now God is telling us how. Proverbs 2 is one of the most helpful passages in the Bible, because it explains what growth and sanctification and renewal feels like. This passage explains the psychology of change. This new mentality is the opposite of complacency. Your most meaningful prayer is to “call out for insight” and “raise your voice for understanding” (v. 3, ESV). The whole passage is meant to position us in that place of blessing and protection. We need it. A tsunami of sin is slamming us in our world today, and all of us are suffering under it. Sometimes that suffering is our own fault, because we have been complacent and unguarded. Other times that suffering is precisely because we have stayed true to the Lord. My Response: I will meditate on today’s passage from Proverbs 2 to understand what it looks and feels like to be changed. The Bible does not describe how life ought to be. It matches how life is. 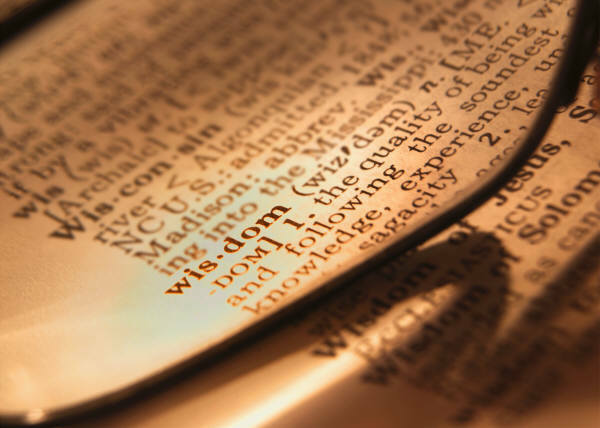 The wisdom of Proverbs is reality-based counseling as we live in this fantasy-world of human invention. In this passage from Proverbs, we hear two voices—the wisdom that is reality-based and the folly that is in denial. Wisdom is speaking here as a loving father. Fools are speaking here too. Their message is a kind of reverse-evangelism. They are inviting us into their dead-end lives. But God is calling us into the beauty of real human relationships. Here is what God is saying in this passage: Refuse violence. It is tempting, but it will destroy you. Wisdom will beautify you. Have you ever felt envy and resentment deep inside? It is where violence begins. When rage pops up to the surface, observe yourself carefully. You will probably recruit others to your cause. Sin tends to recruit. Look at verse 14: “Throw in your lot among us; we will all have one purse” (ESV). 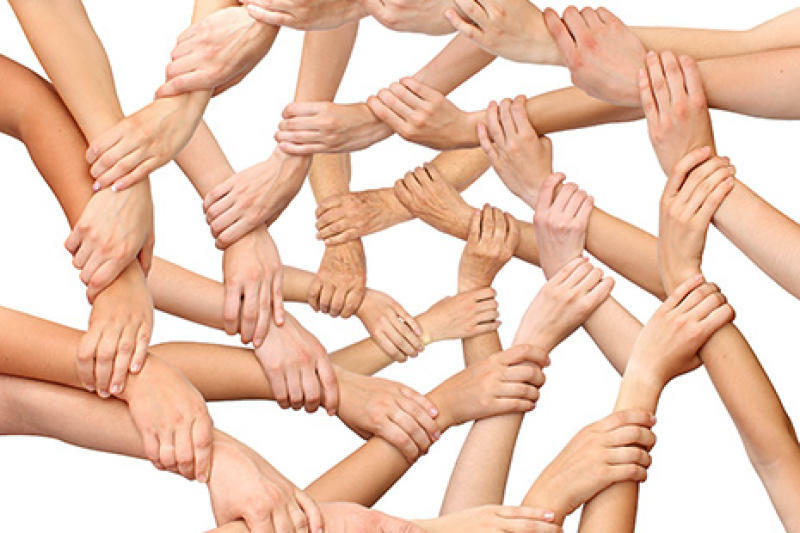 A cause, even a negative cause, provides a group to belong to. It is one way we nurse our grudges, and it feels good. But whenever we gather around grievance rather than Jesus, that is counterfeit community and it cannot succeed long-term. My Response: Are there any relationships in my life that are fed by sin? Dig Deeper: James 1:5-8 “The fear of the LORD is the beginning of knowledge” (ESV et al.). Everyone needs a new beginning with God. That is why we receive the gospel. We want what only God can do for us, and the fear of the Lord is how we receive it. The fear of the Lord is both a doorway and a pathway. It is a new beginning, and it never ends. What then is the fear of the Lord? It is not a cringing dread before the Lord. The fear of the Lord is openness to him, eagerness to please him, humility to be instructed by him (Prov. 15:33). The fear of the Lord is a willingness to turn from evil and change (Job 28:28). The fear of the Lord is surrender to his will (Gen. 22:12). The fear of the Lord is one way we love him (Deut. 6:2,5). Reverence toward God, perhaps surprisingly, builds our confidence and flows out as a “fountain of life” into everyone and everything we care about (Prov. 14:26, 27). It takes us to a place of maturity where no one has to follow us around with a tedious list of do’s and don’ts. We are motivated from deep within. My Response: How do I define the “fear of the LORD”? Life is a journey, and the end of it all is not just a place but also a condition. 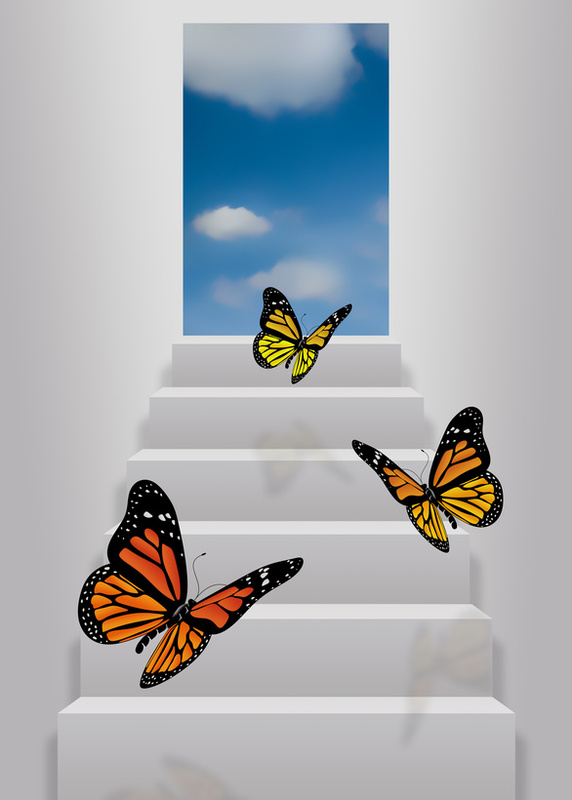 We are becoming the end of our journey, wise or foolish, and every moment takes us closer there. God cares about that. The Bible is the voice of God inviting us into his eternal life. During the Old Testament era God standardized his speaking to us in three ways. The priests taught his law, the prophets declared his word, and the sages or wise men gave his counsel. Both the commands of the law and the thundering of the prophets spread out before us the gigantic truths of God that make sense of everything. But we need more. We live day by day in a world where “there are details of character small enough to escape the mesh of the law and the broadsides of the prophets, and yet decisive in personal dealings” (Derek Kidner in The Proverbs: An Introduction and Commentary). So God gave us more than the law and the prophets. He also gave us wise counsel through inspired writings like we find in Proverbs. Father of wisdom, please instruct me with your wise counsel; teach me to value your wisdom as the rich treasure that it is. A recent article from Christian Counseling Associates gives us a valuable insight on how our attitudes can influence our happiness. We live in a land of great abundance. It would make sense that with all the opportunity and resources that are available to us, one would have a great sense of satisfaction. Instead, we find this culture of abundance to be very challenging. Because we have so many choices and so many possibilities, it is easy to develop an attitude of coveting. It is easy to want more and more. 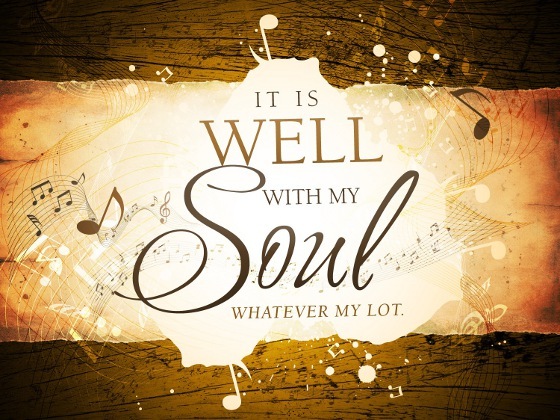 Contentment = satisfaction with God’s sufficient provision. For those who struggle with any emotional problem or life challenge, developing an attitude of contentment can be part of the healing process. We must search our heart for a covetous attitude, and replace it with contentment. 1) Always be unsatisfied with the quality of your character. Ask the question, “how can I become more like Jesus today?” Choose to want more and more the character traits of love, joy, peace, patience, kindness, goodness, faithfulness, gentleness and self-control. 2) Always be satisfied with what you have. 1 Timothy 6:8 states, “but if we have food and clothing, we will be content with that.” We must trust God that what He has provided is sufficient. God will give us what we truly need to walk with Him. Walking with Him is enough. Learn from example. Henry Ford said at the end of his life, “I was happier as a boy working in a mechanic shop, though we had nothing.” Fulfillment is not found in our earthly possessions. We can strive our whole lives for these things, but in the end we have to give it all back. Therefore, it is natural that possessions and success will not satisfy at the heart level. Jesus taught us to pray, “give us this day our daily bread (Matthew 6:11).” If we have food to eat and a roof over our head, we can choose be content. When we learn to loosen our grip on temporary things, we can value what is permanent – eternity in our relationship with Jesus Christ. This week commit to seeking contentment as a lifestyle. Pray to God with an attitude of contentment, saying “Lord I have enough, thank you for what You have provided!” Choose a lifestyle that reflects contentment in what you already have. Seek godliness and contentment and you will gain greatly. Annual Conference always reminds me of one of the essential practices of our faith and that is connection. 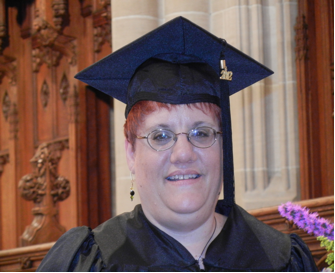 I am excited each year to renew my connection with laity and clergy with whom I have formed relationships over many years. I may not see some of these folks at any other time and yet I know that because we are united by faith in Christ, these persons are supporting and praying for me and I can call on them in times of need. This connection is a grace-filled force which keeps us accountable to one another as well as rooted and grounded in our love for God. John Wesley understood this connection as more than simply a description of our stewardship style, but rather a, “fellowship of love, accountability and mutual ministry”. [i] Connection is at the heart of our tradition as United Methodists. God grafts us into God’s family through Jesus Christ into a connection, a family community we call “the Church”. Wesley knew that we needed to embrace this tenant of faith-that we are not alone. He knew the great power for love in action through our “connection” with God, one another and as the body of Christ. Our Methodist heritage and “ways” provide a vast storehouse of tools and resources for continuous spiritual growth and equipping ourselves for God’s mission. Our Bishop particularly emphasized this as we gathered for our first Plenary session last week. At Central and Riverview, we will be focusing on reconnecting and learning about them as well as encouraging one another in living them out. I realize that in many cases over the years we may not have given a lot of thought about our connection to our heritage, doctrine and practices or, for that matter, the connection these form between us. Familiarity often has that effect. For those who are new to our traditions, you may never have heard about or studied them. In the next few weeks and months, together we will take a closer, more focused look at just how our faith, particularly our United Methodist faith, prepares us for life in a Post-Modern culture. At Conference we were reminded that we are an invitational church. Wesley made invitation to discipleship an integral part of every service, as well as calling for a response. This was not a call for response of conversion specifically, but encouraged an awakening to God’s grace to be formed to faith in Christ and deeper spirituality. The first action of the church was welcoming those seekers who responded and getting them started on the journey to Christian faith. My friends, this is where we, too, are beginning. We are not “cold and dead” yet how do we take on this challenge of making connection with welcoming the lost, the least and the losers (By the way, that’s us too!) to a wider and deeper connection through faith in Jesus Christ right here in Beaver Falls? As Wesley ended each sermon, let us find new ways together to ask one another, “Who among you is tired of living in sin and living for self? Who here is ready to flee the wrath to come and live for God?”[iv] This invitation reminds us that our first action in disciple making was and is connection, it is an invitation to Christian formation. How might we best welcome and invite ourselves, our family, friends and neighbors to true discipleship, connecting in deeper relationship with Christ and in God’s mission? [i] Harper, Steve. Prayer & Devotional Life of United Methodists. Nashville: Abingdon Press, 1999, p. 66. A recent article by Christian Counseling Associates makes the point that the attitude we choose, can have big consequences. When we can identify wrong attitudes, with God’s help, we can begin a process of replacing them with the attitudes God has designed for us. This can be healing. Attitudes can be responsible for the way we think, feel, and behave. Even serious mental health problems, like clinical depression, or anxiety disorders can be significantly reduced or even resolved over time by changing our attitudes (in the field of psychology we refer to this process as Cognitive Therapy). We need to realize that attitudes are important. Covet (v.) – to desire (what belongs to another). According to James MacDonald, in Lord, Change My Attitude – the covetous attitude is common in the Western world and in the Church. The consequence – it blocks the flow of God’s fullness in our lives. In Numbers 11:4 – 30, we see how the people of Israel are provided food every day in the form of manna, or bread from heaven. When the people struggle in the desert with hunger, God provides the food that will sustain them. In the midst of their desert journey, God provides. The nation of Israel, covets food. The consequence is that their attitude keeps them stuck in the desert. Their attitude separates them from the awesome plan that God has for them – the Promised Land. What is the result? We are consumed with wanting what others have. We want the more impressive career, the bigger house, the exotic vacation, the perfect spouse, the perfect body, the fancy sports car, the better toys, the bigger yard – you name it. Whatever it is that someone else has, we start being consumed by what we want. The final consequence is that we can’t stop the yearning. We can never get enough. We become tortured by our wanting. When considering the example of Israel’s covetous attitude, the bible says, “… He gave them their request, but sent leanness into their soul. (Psalm 106:15, NKJV).” When we set our hearts on what we don’t have, we might accumulate more material wealth, but it results in a poverty at the heart level. 1) Am I a covetous person? Do I tell myself things like: when I get this, or when this happens, or if this situation can just get settled….then I can be happy? 2) Am I experiencing the consequences of a coveting attitude? What is my attitude about worshiping God, or reading the Bible? Do you have difficulty experiencing fulfillment in these activities? Am I able to see and experience contentment in what God has provided in my day to day life? 3) Am I willing to stop coveting? Let us reflect on our lives this week: with God, with family, with friends, with our Church, and at work. Then spend time in prayer. Take a ruthlessly honest look (at the heart level) for the coveting attitude that may be operating in your life. Sigmund Freud called religion an illusion humans invent to satisfy their security needs. To him, a benevolent, all-powerful God seemed incongruent with natural disasters and human evil. God, though sovereign, gave us freedom to follow Him or to disobey Him. This response does not answer all concerns (because He sometimes does intervene to thwart evil) but suggests that the problem of evil is not as great an intellectual obstacle to belief as some imagine. Pain’s emotional barrier to belief, however, remains formidable. Jesus understands suffering. He was scorned, beaten, and cruelly executed, carrying the guilt of our rebellion against God (Is. 53:10). When I see God, items on my long list of questions for Him could include painful and unwanted divorces, betrayal by trusted coworkers, and all sorts of disappointing human behavior and natural disasters. Yet in Jesus’ life, death, and resurrection I have seen enough to trust him when he says he “causes all things to work together for good to those who love God” (Rom. 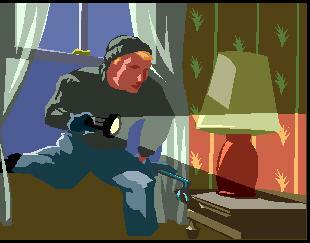 8:28). 2. What about all the contradictions in the Bible? 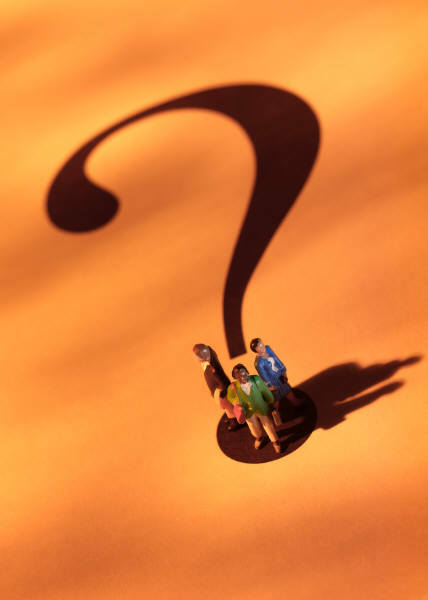 Often people don’t have specific examples, but rely on hearsay. Omission does not necessarily create contradiction. Luke, for example, writes of two angels at Jesus’ tomb after the Resurrection (24:1-9). Matthew mentions “an angel” (28:1-8). Is this a contradiction? If Matthew stated that only one angel was present, the accounts would be dissonant. As it stands, they can be harmonized. Differing accounts aren’t necessarily contradictory. Matthew and Luke, for example, differ in their accounts of Jesus’ birth. Luke records Joseph and Mary starting in Nazareth, traveling to Bethlehem (Jesus’ birthplace), and returning to Nazareth (Luke 1:26-2:40). Matthew starts with Jesus’ birth in Bethlehem, relates the family’s journey to Egypt to escape King Herod’s rage, and recounts their travel to Nazareth after Herod’s death (Matt. 1:18-2:23). The Gospels never claim to be exhaustive records. Biographers must be selective. The accounts seem complementary, not contradictory. Space precludes more complex examples here. But time and again, supposed biblical problems fade in light of logic, history, and archaeology. The Bible’s track record under scrutiny argues for its trustworthiness. 3. What about those who never hear about Jesus? God’s perfect love and justice far exceed our own. Whatever He decides will be loving and fair. If Christianity is true, the most logical behavior for someone concerned about those without Christ’s message would be to trust Christ and go tell them about Him. 4. How can Jesus be the only way to God? Jesus’ claim is that “I am the way, and the truth, and the life; no one comes to the Father but through Me” (John 14:6). If God exists, could there be only one way to reach Him? To be open-minded, I must admit this possibility. Why consider Jesus as a candidate for that possible one way? He claimed it. His plan of rescuing humans (“by grace … through faith … not … works,” Eph. 2:8-9) was distinct from those requiring works, as many other religions do. These two kinds of systems were mutually exclusive. Both could be false or either could be true, but both could not be true. Was Jesus’ plan true? Historical evidence for his resurrection, fulfilled prophecy and deity, and for the reliability of the New Testament, convinced me I could trust his words. 5. Isn’t Christianity just a psychological crutch? Bob Prall has often said, “If Christianity is a psychological crutch, then Jesus Christ came because there was an epidemic of broken legs.” Christianity claims to meet real human needs such as those for forgiveness, love, identity, and self-acceptance. We might describe Jesus not as a crutch but an iron lung, essential for life itself. Christian faith and its benefits can be described in psychological terms, but that does not negate its validity. Evidence supports Christianity’s truthfulness, so we would expect it to work in individual lives, as millions attest. 6. I could never take the blind leap of faith that believing in Christ requires. We exercise faith every day. Few of us understand everything about electricity or aerodynamics, but we have evidence of their validity. Whenever we use electric lights or airplanes, we exercise faith—not blind faith, but faith based on evidence. Christians act similarly. The evidence for Jesus is compelling, so one can trust him on that basis. 7. “It doesn’t matter what you believe as long as you’re sincere”. After discussing this, a respected psychologist once said, “I guess a person could be sincere in what he believed, but be sincerely wrong.” In the 1960s, many women took the drug thalidomide sincerely believing it would ease their pregnancies—never suspecting it could cause severe birth defects. Ultimately, faith is only as valid as its object. Jesus demonstrated by His life, death, and resurrection that he is a worthy object for faith. You may be turned off because many Christians haven’t acted like Jesus. Maybe you’re angry at God because of personal illness, a broken relationship, a loved one’s death, or personal pain. Ask God for patience and respond to others in love as you follow Peter’s admonition: “But in your hearts set apart Christ as Lord. Always be prepared to give an answer to everyone who asks you to give the reason for the hope that you have. 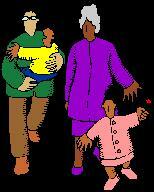 But do this with gentleness and respect” (1 Peter 3:15). The Beaver Falls community’s annual “Blessing Night” prayer walks based upon Jeremiah 29: 5-7 begin on Sunday, June 23 and continue through October. The walks begin at 6 pm with Scripture readings and prayer for Beaver Falls. Those who desire may join in prayer walking the surrounding neighborhood of the host Church or housing site, while others remain in the Church or housing center to pray. If you cannot attend, please take a moment those nights to remember each segment of our community in prayer. 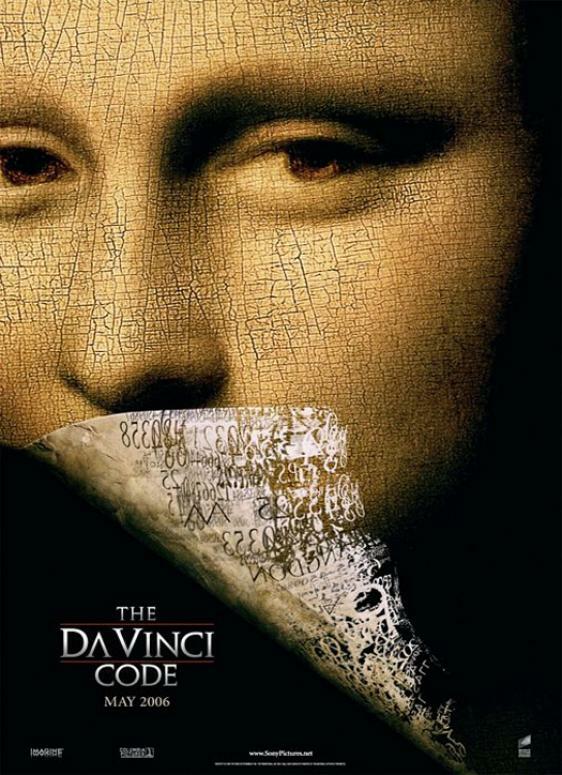 Already an international publishing sensation, The Da Vinci Code now is a feature film directed by Ron Howard and starring Tom Hanks. The compelling story written by Dan Brown blurs the line between fact and fiction, so moviegoers have joined readers wondering about the origins and legitimacy of orthodox Christianity. Here are some brief answers to five important questions from Collin Hansen at Christianity Today. 1. Was Jesus married to Mary Magdalene? Brown correctly observes that few Jewish men of Jesus’ day did not marry. But why, then, did the apostle Paul, himself celibate, not mention Jesus and Mary when he argued that apostles could marry (1 Cor. 9:5)? 2. What about these alternative gospels that aren’t in the New Testament? It’s true that the Bible did not arrive as a “fax from heaven,” as Brown writes. The New Testament canon in its current form was first formally attested in 367. Nevertheless, church leaders applied important standards when compiling the Bible. Authors of accepted writings needed to have walked and talked with Jesus, or at least with his leading disciples. Their teaching could not contradict what other apostles had written, and their documents must have been accepted by the entire church, from Jerusalem to Rome. Church leaders considered earlier letters and reports more credible than later documents. Finally, they prayed and trusted the Holy Spirit to guide their decisions. The so-called Gnostic gospels, many discovered just last century, did not meet these criteria. Many appeared much later than the Bible and were dubiously attributed to major Christian leaders. Their teachings contrasted with what apostles like Paul had written. For example, many Gnostic writings argued that Jesus did not appear in the flesh, because flesh is evil, or they rejected the Old Testament. 3. Were there really competing Christianities during the early Church? Yes—in the sense there were many disputes about the nature of Jesus. And the church has done its best to vanquish challengers to orthodoxy. Once the church decided against the Gnostic writings, they gathered and burned all the Gnostic manuscripts they could find. Later church councils convened to discuss other threats to Christian orthodoxy. Constantine, the first Roman emperor to make Christianity legal, called the most important of these meetings in 325. Leaders from around the Christian world gathered in Nicea, where they debated Arianism, which taught that God created Jesus. Brown writes that Constantine called this council so he could introduce a new divine Jesus on par with the Father. On the contrary, documents from before Nicea show that most followers of Jesus already called him LORD, the Yahweh of the Old Testament. The church leaders at Nicea rejected Arianism and affirmed that God and Jesus existed together from the beginning in the Trinity. This council produced the first drafts of what became the Nicene Creed, a landmark explanation of Christian belief. 4. What is Opus Dei? A conservative religious group within the Roman Catholic Church. Opus Dei urges priests and laypeople to strenuously pursue sanctification through everyday discipline. The group has taken criticism for its conservative views, zeal, and secretive practices. There is no evidence that Opus Dei has resorted to murder; nor has the Vatican entrusted Opus Dei to violently guard the church’s deepest secrets, as Dan Brown claims in The Da Vinci Code. 5. Does the Priory of Sion really exist? Yes, but not as described by Brown. Researchers suspect that members of the real-life Priory of Sion, founded in 1956, forged documents that placed major historical figures—such as Isaac Newton and Leonard da Vinci—in an ancient secret society. There is no evidence for this group beyond dubious documents. Any story relating this group to a dynasty begun by Jesus and Mary Magdalene is a fanciful work of fiction. 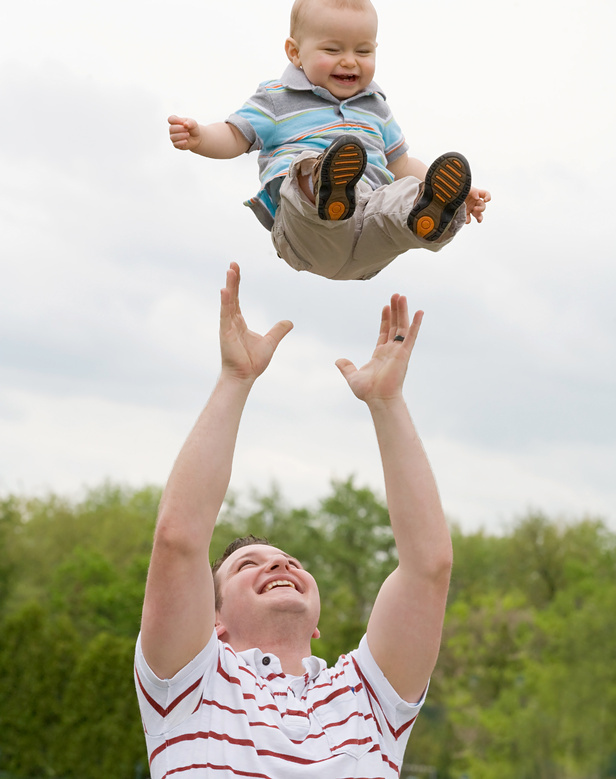 Whether you are a father or not, use this holiday as an opportunity to grow, change, and become a better man. Try these LIVE links to all the resources below (don’t worry, nobody will track your search), or make an appointment with our Pastor if you’d like to discuss any of the issues here or other ways we can help you grow in your Christian life. Celebrate Recovery is a biblical and balanced program that helps us overcome our hurts, hang-ups, and habits, please note that the current website status is not reflective of the quality of the ministry. In general, what would you say is the most important thing to you? A recent article from Christian Digital Publishers has some suggestions. The obvious answer to many would be God, but if we are strictly talking about intangible items, some might say it’s love. Others might just say comfort. Why, then, is the word ‘forgiveness‘ the theme for all of Christianity? It’s a word that we’re all familiar with. It’s a word used many times in the Bible and it represents unwavering grace and mercy from our Savior. On Earth, though, we all struggle with it. Some of us even chose to avoid it altogether. There are people who have hurt you and people who have been hurt by you, resulting in a loss of a relationship because one of us wouldn’t forgive the other. Usually forgiveness just isn’t the most important thing to people. If we let some people walk out of our lives because we feel that they are unforgivable, we seem to find contentment with that decision. When Jesus died on the cross for us, however, it was God’s way of saying that we are all forgiven of our sins, that we are so loved by Him that he does not hold our evil ways against us. That He wants a relationship with us so badly that He won’t let our bad decisions ruin that relationship. As we start a new day today, let’s all consider the importance of forgiveness and why God has made it such a large part of our relationship with Him. If Jesus died to forgive our every sin and we are to try and live as He did, forgiveness with others could be a good place to start. Hope you all have a great day ahead of you! Did you know Central Church’s website is mobile friendly? With over 20% of typical website traffic coming from mobile devices, it’s crucial to have a mobile friendly and accessible website. That’s why we’re covered! 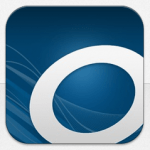 Central Church has a mobile-optimized version of its website for you. Visitors who arrive at Central’s website on a phone see the mobile version of our site, while visitors arriving on a computer see the full website. Pretty nifty, right? See for yourself by visiting our site on a mobile phone. Ever wonder why stained glass is found in places of worship? 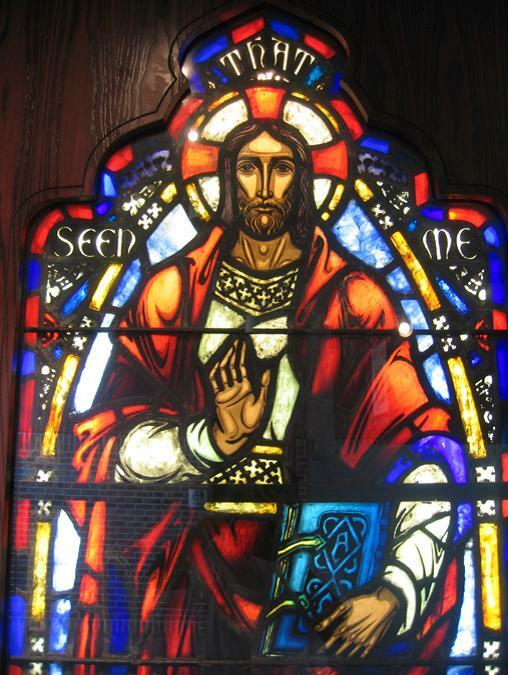 Find the answer in this episode of the United Methodist Board of Discipleship series, “Chuck Knows Church, entitled “Stained Glass“. A recent article from Christian Counseling Associates reminds us that complaining can become a habit that leads to a loss of perspective. Complaining can be destructive, it has the potential to contribute to depression, anxiety, marital discord, or emotional breakdown. Complaining is a sin, it can separate us from God. It is important to examine our lives, and choose to root out any habit of complaining that may be operating in our life. Psalm 107:8 says, “Oh, that man would give thankfulness to the Lord for his goodness” (NKJV). In this verse (which is repeated five times in this psalm), God passionately instructs us to put off complaining and put on genuine thankfulness. A thankful attitude is healing, it can be a powerful agent in establishing emotional wholeness. A thankful attitude glorifies God, and it breaks the destructive habit of complaining that can keep us stuck in emotional problems and destructive behaviors. The reality is you can choose to be thankful, and began experiencing a new level of healing, a new level of living. 1) Hebrews 13:15 (NKJV) reads, “continually offer the sacrifice of praise to God, that is, the fruit of our lips, giving thanks to His name.” At this level, thankfulness is a sacrifice. We might say to ourselves, “okay, I know I ought to be thankful to God today, so I will just do it.” At this level there is not much joy, but at least there is an acknowledgment that we need to be thankful to God. This is often the first step. 2) 1 Thessalonians 5:18 (KJV) reads, “In everything give thanks: for this is the will of God in Christ Jesus concerning you.” At this level, it becomes possible to always find something to be thankful for. We now search for the opportunity to be thankful to God. This produces joy, a powerful antidote to emotional problems. 3) Ephesians 5:18, 20 (NIV) reads, “be filled with the Spirit… always giving thanks to God the Father for everything, in the name of our Lord Jesus Christ.” At this level of thankfulness, we choose to trust God and be grateful in every circumstance, even in times of great hardship. This is when we have full maturity in our ability to give thanks. This is the goal – to replace all complaining with this level of thankfulness. This kind of attitude, that is God-given, will be a solid foundation to face any life challenge. 1) Go to Church, and worship God on a weekly basis. Do this regardless of your life circumstance. 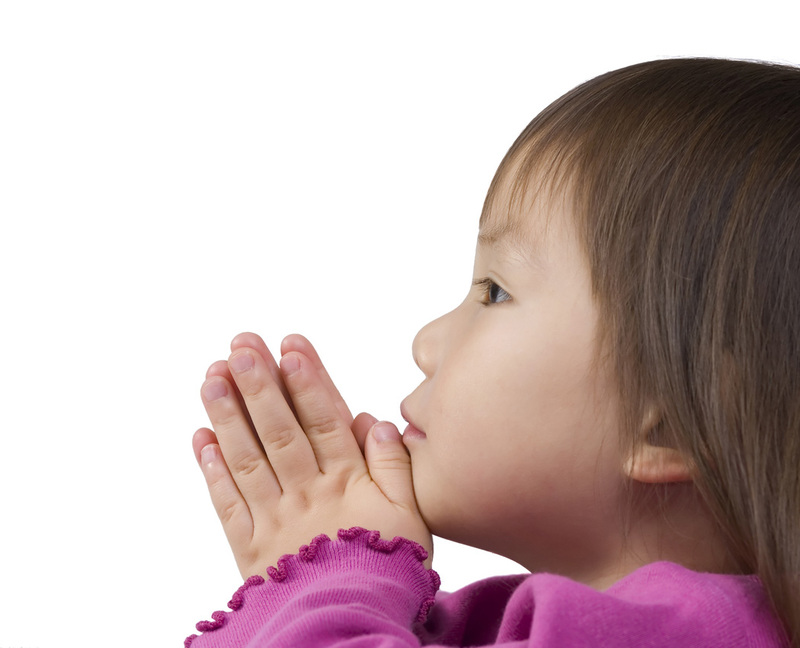 2) Pray to God daily – ask Him to help you on your journey of thankfulness. Without His power working in your life, you will not be successful. God is faithful, He will help you develop the attitude that you need. 3) Reflect constantly – am I choosing thankfulness over complaining moment by moment? By reflecting on this information, you may find the next level of thankfulness in your life. May God bless you as you seek a new level of thankfulness this week. Let There Be MORE (Emergency) Light! 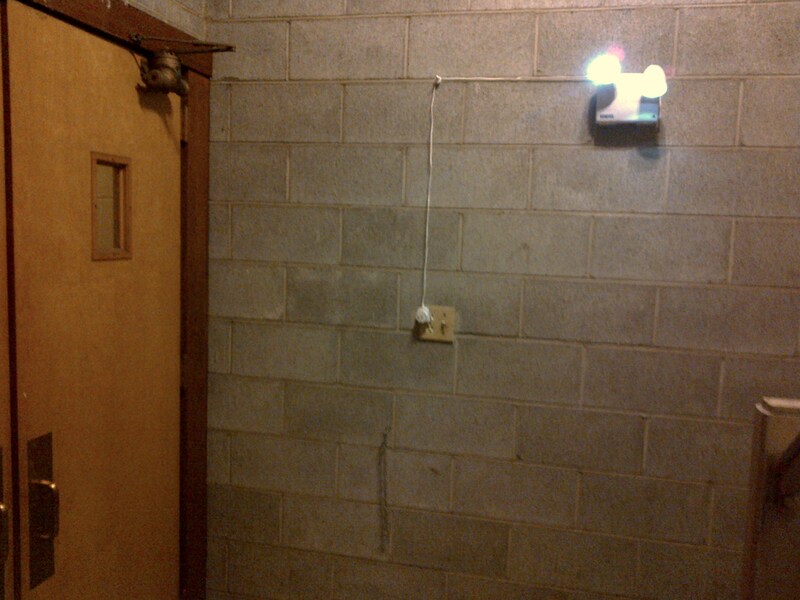 Our Trustees h ave just finished installing additional emergency lighting in the Emergency Exit stairway from the Blue Sunday School Room to the Emergency Exit doorway to the alley that is activated whenever the normal power supply to the Church is interrupted. The new emergency fixture will illuminate the Emergency Exit stairway with enough light so anyone in the area can calmly and safely find their way to the exit to the alley. Our thanks to the Trustees for making our Church a bit safer with this latest addition to our network of emergency lighting, although we still hope that we never need to use it! In addition to cash and checks received at our Church, Central now has the capability to receive online contributions via Mastercard, Visa, Discover, and American Express! Central Church also has the ability to receive electronic donations via PayPal, and has been certified as a Verified party by PayPal. A Verified party has provided additional evidence of their identity to PayPal by passing key security checks and completing the PayPal Verification process. Verification increases the overall security of the PayPal network because most people making donations prefer to contribute to Verified parties. Now, our ushers won’t have a credit card swipe machine bolted to the side of the offering plates during the Offering for Sunday morning worship, so cash and checks will remain our collection modes at the Church, but all forms of electronic contributions can be made via our web site by clicking on the “Donate” button on our “Give” page. Since these electronic alternatives charge us a fee for their services, the best way to get the most money to Central Church is still by check or cash, but however you like to donate, and whenever you like, we are ready to receive your contribution in support of the ongoing ministry and mission of Central Church! Not too long ago w hen someone was sick and needed prayer there would be a notice in the Church bulletin and people. Once the word was out, people would relay the information via telephone and, before you know it, several dozen people would be praying for a miracle. 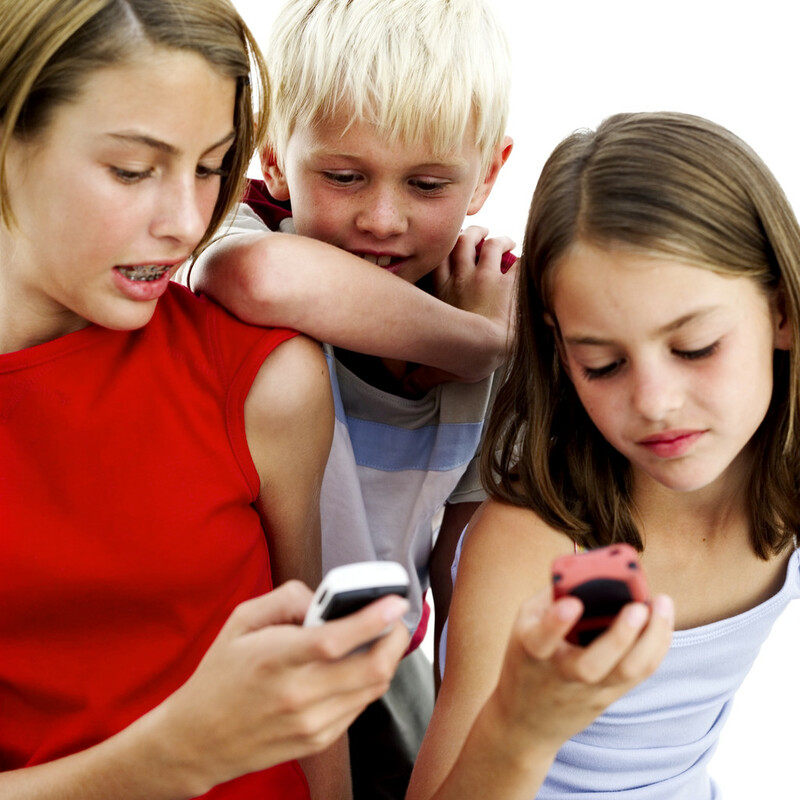 Today the old telephone prayer chain has been replaced by social media sites like Facebook. Simply post a prayer request and people will respond. It’s good to know that so many of our “friends” on Facebook will respond to a call for help. What are the best phone apps for Christians? So you downloaded the YouVersion Bible, you’ve perused the app store, and you’re having a hard time figuring out which apps are worth the space on your phone? Or, maybe you have a few apps that you like, but you’re always on the lookout for others. According to a recent issue of Christian Media magazine, here are 10 apps that have drawn a lot of attention lately. Not all of them are explicitly Christian, but even if they’re not, we’re sharing how we’re using them for spiritual purposes. 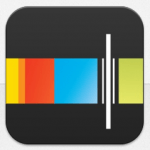 Stitcher is a free podcasting radio app. 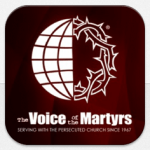 Gone are the days of having to load podcasts or sermons by syncing your iPhone. Stitcher streams them for you. All you have to do is choose which “stations” to follow and you’re able to stream them right from your phone. The only problem is if you’re in a dead zone and have no cell coverage, you get nothing. But that’s not Stitcher’s fault! The Fighter Verses app gives you 3 years of Scripture verses to memorize, and there are all kinds of quizzes to help you in your quest. There’s even one that records your voice as you recite the verse and then lets you check to see if you got the verse correct. The Fighter Verse app does cost $2.99, but it’s well worth the price. 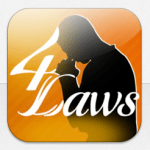 This is a great, easy-to-use app for helping you keep up with the people you are praying for. You can categorize your prayer list into friends, family, church, missions, answered, unanswered, etc. and you can schedule prayer requests to recur as often as you want them. There is a free version and a paid version, but the free one is limited to 5 prayers. 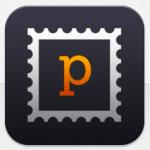 There’s nothing spiritual about the free Postagram app, per se. But, you can send encouraging postcards to your friends through it. The way it works: You choose a picture from your camera roll, upload it to Postagram, add a message, and Postagram will create the postcard and mail it to the recipient for 99 cents. They’re just a fun way to tell someone you’re thinking about them, praying for them or for sending them a verse of encouragement. 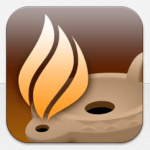 This free app allows you to download books from your public, school, or college library. The cool part, though, is not that it’s an eReader, but it’s also an audio book reader. So if you’re on a road trip or commuting to work, you can find your library (over 18,000 libraries use OverDrive), check out a title (you need a valid library card first), and listen to it while you drive. While school libraries might not have Christian literature, public libraries often do. What’s even better: You don’t have to worry about returning the title. It expires at the end of the lending period. 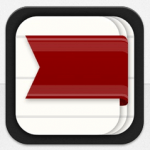 This comprehensive app offers you quite a bit of tools if you are a serious Bible scholar. It includes the entire Bible in the English Standard Version, along with a Bible dictionary, Greek and Hebrew reference books, and more. If you need help breaking down a verse or a passage and want a quick reference in the palm of your hand, it’s good stuff. And, it’s free. Have you priced just one Bible dictionary lately? Remember how we used to have those little rectangular booklets called, “tracts”? Well now they come in app form. 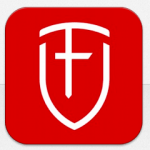 It’s a free app, and a good thing to have as an option if you’re sharing Christ with someone. Obviously, it’s not a necessity to share your faith, but being prepared and having it just in case never hurt a thing. 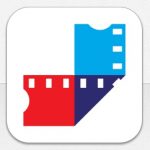 If we’re seriously discussing the best phone apps for Christians, then we have to include the Jesus Film app. Missionaries show this film in countries all around the world and introduce people to Jesus, but now they can just show it on their smartphone. My, how far we’ve come from projectors and film reels. T his free app has the Jesus Film and several others translated into tons of languages. Even if you’re not on the international mission field, it’s a great tool to have when you’re sharing the Gospel with people here at home, too. We hear about the persecution of Believers that goes on around the world, but it’s very easy to remain insulated and not allow ourselves to be confronted by it. This free Prayer Calendar from Voice of the Martyrs is an excellent way to force ourselves to not only be aware of what is going on, but to labor in prayer on behalf of our brothers and sisters around the globe. 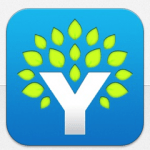 When it comes to budgeting software, YNAB is the way to go. Their mobile app aids in tracking your budgeting and syncs with the desktop client. 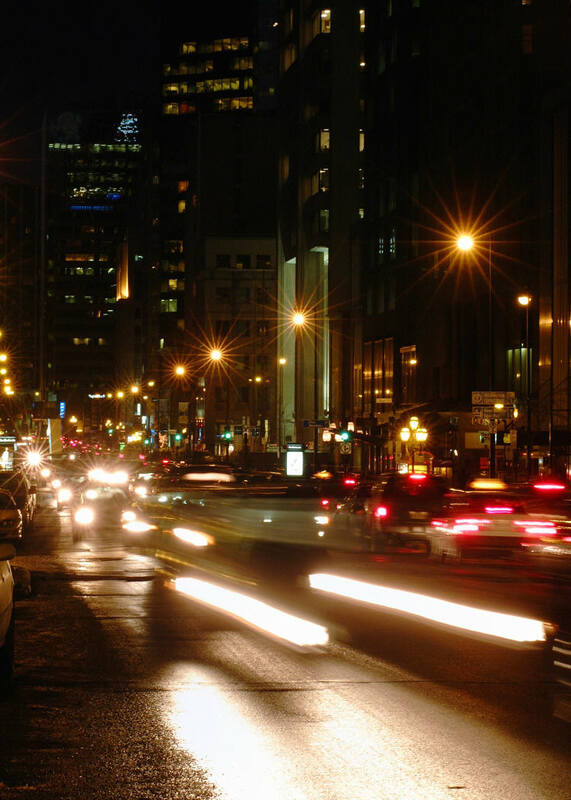 Let’s face it: You need mobility if you’re going to be serious about tracking your spending. The YNAB app is $4.99, but there’s also a Lite version. However, the Lite version only syncs with Dropbox, not the desktop client. So, because of that, we think it’s worth shelling out the money. 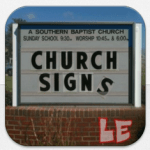 Occasionally there are decent church signs, but usually church signs just make us laugh or roll our eyes. And now, you can have so many of them at your fingertips. If you have high blood pressure, maybe this app isn’t for you. Here’s a new way to create donations to our Church! The United Methodist Church has launched “UMC Market”,a new online purchasing service with merchants that automatically gives Central Church a donation every time you make an eligible online purchase – but you have to sign-up so Central can get the cash! The United Methodist Church is providing this micro-donation tool to all of its members as a modern and secure way to develop new income-streams for local churches, including Central Church! By downloading the browser-app or by shopping through www.umcmarket.org, you’ll automatically create micro-donations to Central Church every time you make a purchase! The easiest way to create micro-donations is by downloading the tailor-made browser app to your computer. Go to www.umcmarket.org, click on the “Join Now” button, and follow the steps. By doing this, your computer will automatically register when you enter an online shop that’s in our network, and you will be informed of how many percentages of your purchase that store will donate to Central Church. (The browser app doesn’t work on smart phones or tablets yet, so if you’re using such devices, please shop from UMCmarket instead. For more information, see below). The United Methodist Church is partnering with hundreds of stores who’ve agreed to give back a portion of your purchase. It’s their way of saying “thank you” to UMCmarket for referring customers to them. The money goes automatically as a donation to Central Church once you’ve selected it in your account. You can also shop directly from www.UMCmarket.org. Here you can easily get a complete list of the all the participating stores. Log in with your email and a password of your choice, make your purchases as usual, and your donation is already made. It’s really that simple. Who gets the donated money? 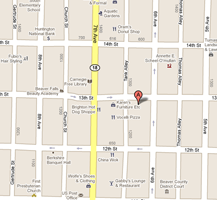 Once you’ve found Central Church (“Central Beaver Falls”) under the Organizations tab, press ‘Join’. When you’re ready to start shopping, a donation comes directly to Central Church. At the end of the year you’ll get a complete list of all the donations you have made during the year. Every time you have made a purchase you’ll get an email stating the amount of your micro-donation. Every month, Central Church will get your donation together with all other donations created by members of our Church. It will not be possible for anyone to see what you have bought, just the amount of the donation you have created. The more people that know about UMCmarket, the more our Church benefits. So, spread the word!